If you saw the lines outside of PPG Paints Arena yesterday, you would believe that there was a hockey game about to take place. This was the pre-party. 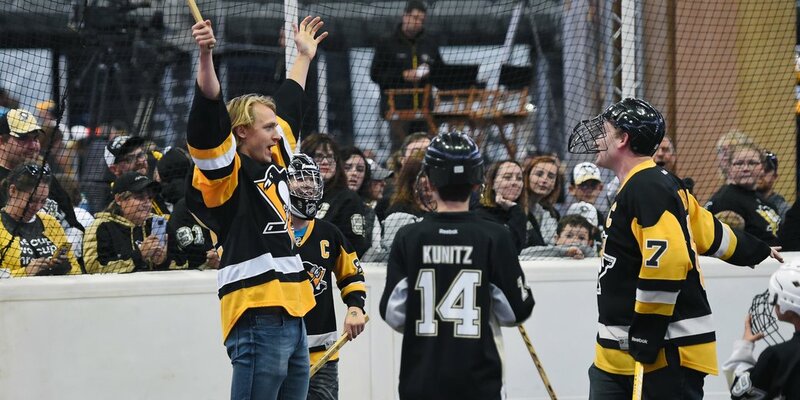 Beginning bright and early, fans were treated to the ultimate interactive experience at Penguins Fan Fest 2016, a kick off to the 50th Anniversary season. From 10am-2pm (in Session 1) and again from 3pm-7pm (in Session 2). Fans excitedly roamed the arena floor playing in different hockey-related skill games, cashing in on their scratch-off ticket prizes (which included autograph sessions, locker room tours, merchandise and free food), watching live interviews and "game shows" on the main stage, or waiting for the moment when the legend, Phil Kessel, would arrive. 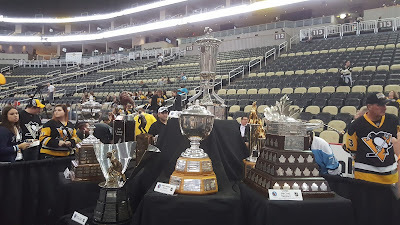 There were displays of the Pens jerseys through the years outside of the Captain Morgan Club, NHL trophies on the main floor, and even Lord Stanley's Cup made an appearance. 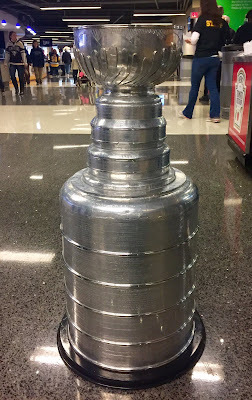 Alright, it was just fan-made replica (and a every convincing one at that), but it still made the day a little more exciting as fans tracked down the owner to take pictures with "The (Replica) Cup". 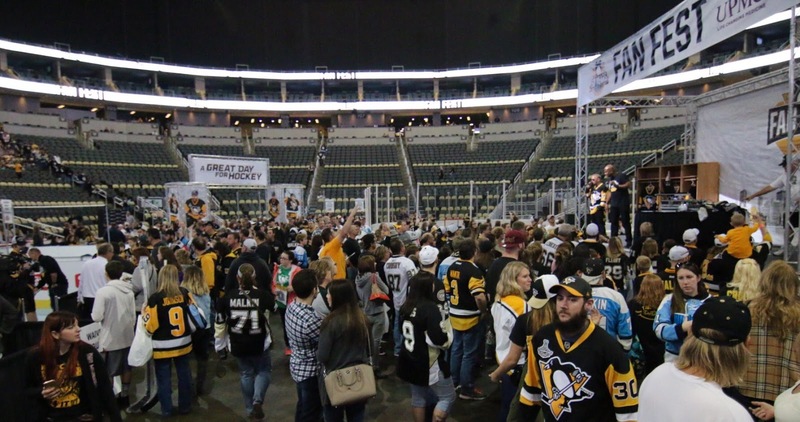 Two DJ's kept the party atmosphere alive and did a few jersey and memorabilia giveaways as fans made their way around the main floor. Fans lined up in droves to play the skill games once they realized that they got the chance to interact and play with a member of the team. 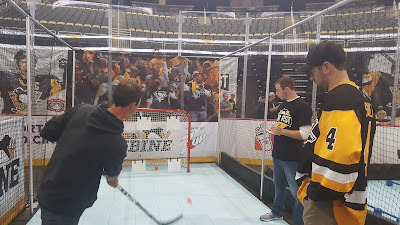 Evgeni Malkin, Chris Kunitz Bryan Rust, Carl Hagelin and Matt Cullen (among other players) were all seen playing in the drop-in hockey rink, lending their knowledge and skill during some pick up ball hockey games. Want to know who the best cook on the team is or how the players react to random questions with only seconds to think? 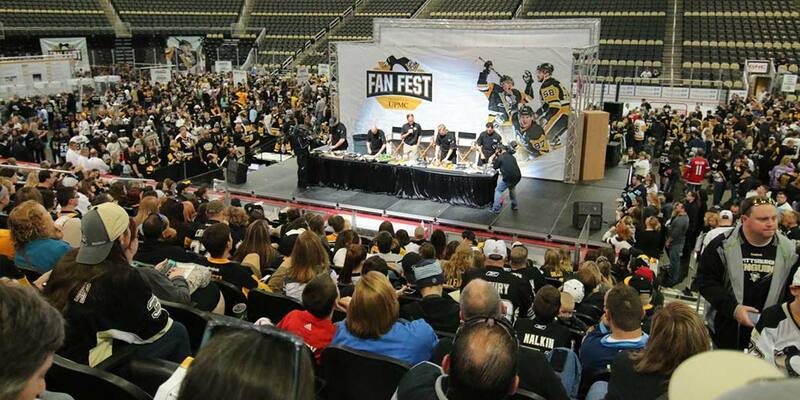 Fans got the chance to find out the answers to those questions and more during the open "game shows", Q&A sessions and demonstrations on the main stage. Highlights included Trevor Daley doing The Robot, Marc-Andre Fleury showing off his flexibility (in skinny jeans no less), and Scott Wilson hogging the microphone during the game "5-second rule" (name 3 things in a set topic within 5 seconds). Fans also learned that the guys may be great at hockey, but not very good at drawing. "Pictionary with the Players" was quite the guessing game but enjoyable for the children who got to experience it on stage with Derrick Pouliot, Justin Schultz and Hornqvist. 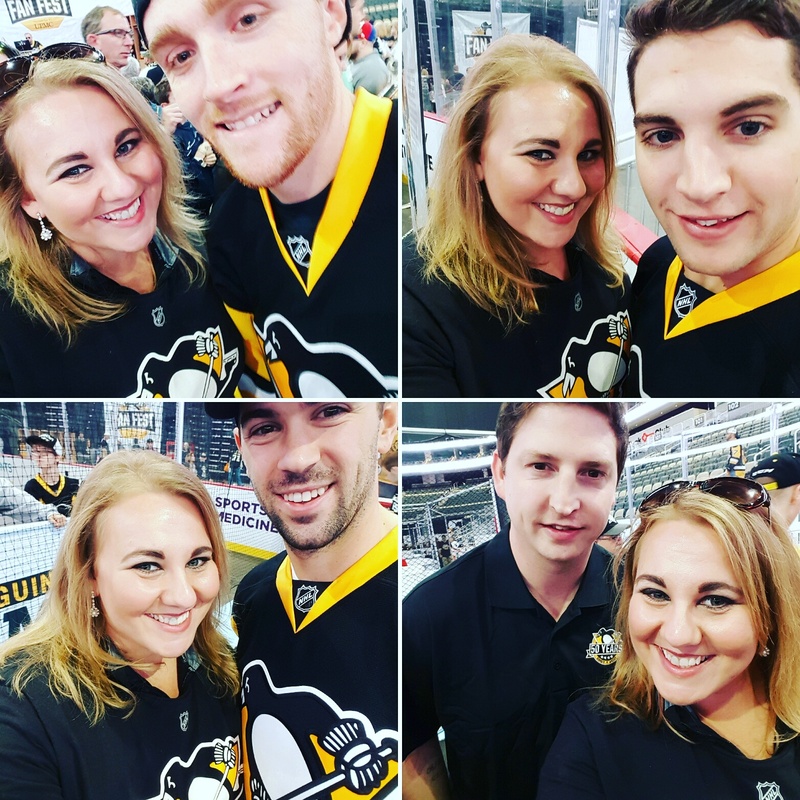 Kris Letang was even surprised when he got asked to a girls homecoming dance during the Kids Q&A that morning, but unfortunately had to decline as the Pens are on the road that weekend. In the Lexus Club, the "Keeper of the Cup", Phillip Pritchard, regaled groups with stories of the travels of the Stanley Cup along with some interesting facts and tidbits. During the "State of the Team" address (which took place in both sessions), Head Coach Mike Sullivan and GM Jim Rutherford talked about how they plan to carry over the success from last season and Rutherford even admitted that, just before he was offered the General Manager position in Pittsburgh, he contemplated going into retirement. "I was at a point in my career where I was thinking about not working anymore. 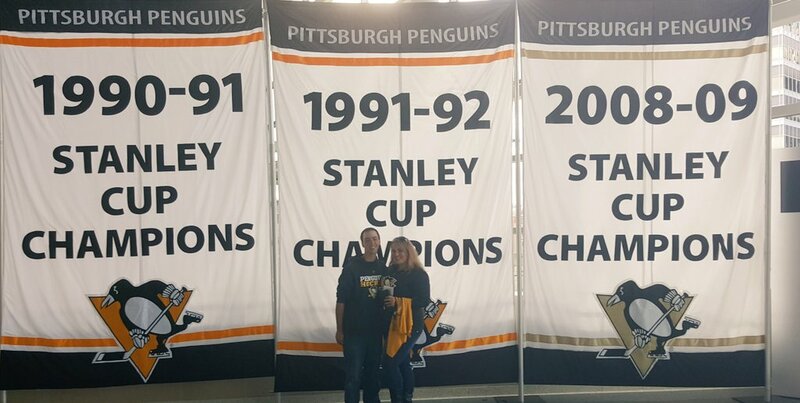 Then this opportunity came up and I told my wife, 'We're going to Pittsburgh'". When he was asked about his wife's reaction, Rutherford said that his wife had asked him why he wanted to take this job. "...because I want to win again", he said with a smile. 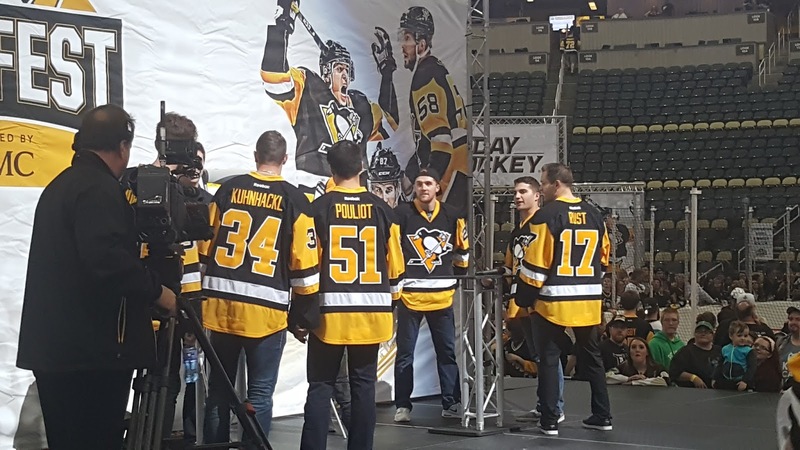 It was truly an exciting day at PPG Paints arena. I got in on the fun myself and learned that I should stick to writing about hockey instead of playing it (though I will admit, impressing Schultz by being able to accurately hit targets while in heeled boots was extremely gratifying). 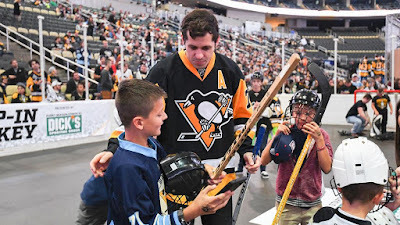 Check out some of the pictures from the event as the Penguins are set to begin the season in just a few days. Check out this Stanley Cup replica. Would you be able to tell the difference? 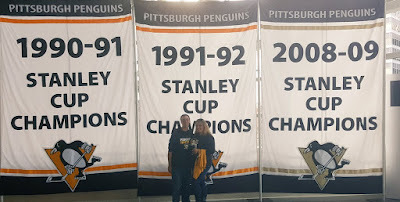 Fans got to take pictures in front of the first three championship banners. How did you spend your Sunday? Oh, you know, hung out with some of the guys.